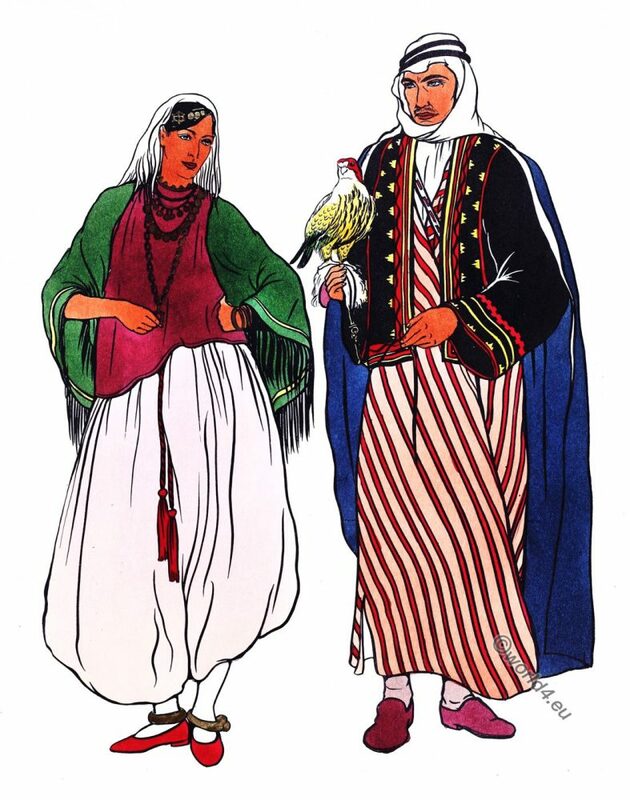 Traditional Arabian costumes. Arab clothing. 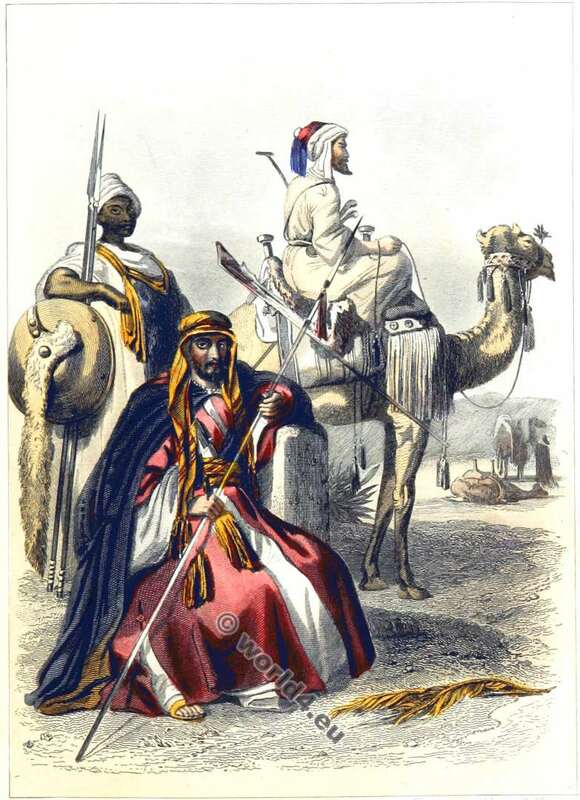 Middle east costume history. 1. 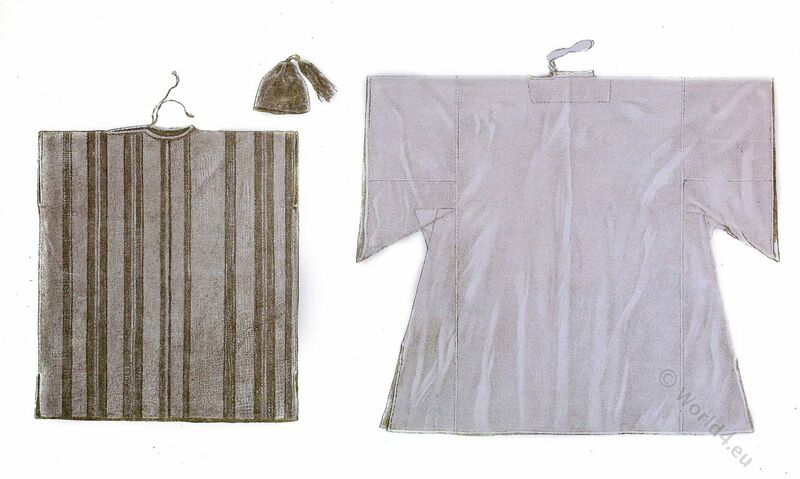 Arab of Medina, 2. woman of Mecca and 3. woman of Medina. 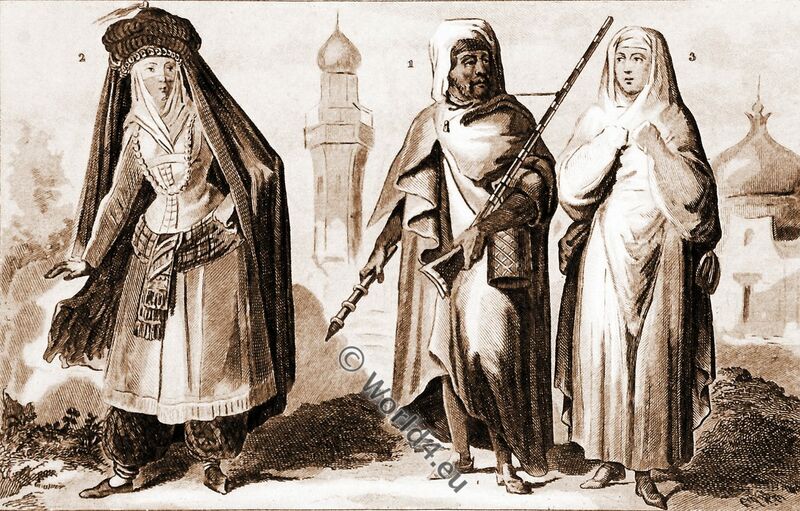 Arabian inhabitants of Mecca and Medina, 19th c.
This entry was posted in 19th Century, Arabia, Middle East, Traditional and tagged Traditional Arabian costumes on 12/1/16 by world4. Sheikh Abdallah I. Ibn Saud. Imam of the Wahhabi. 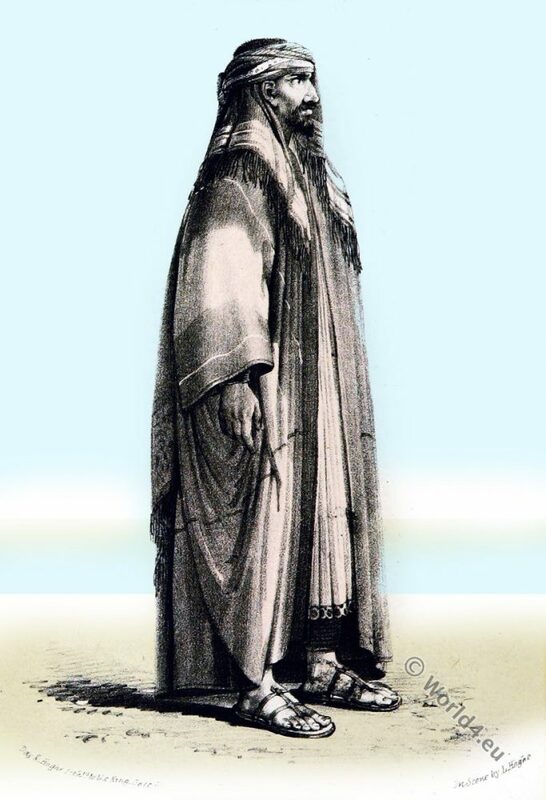 Sheikh Abdallah I. ibn Saud. 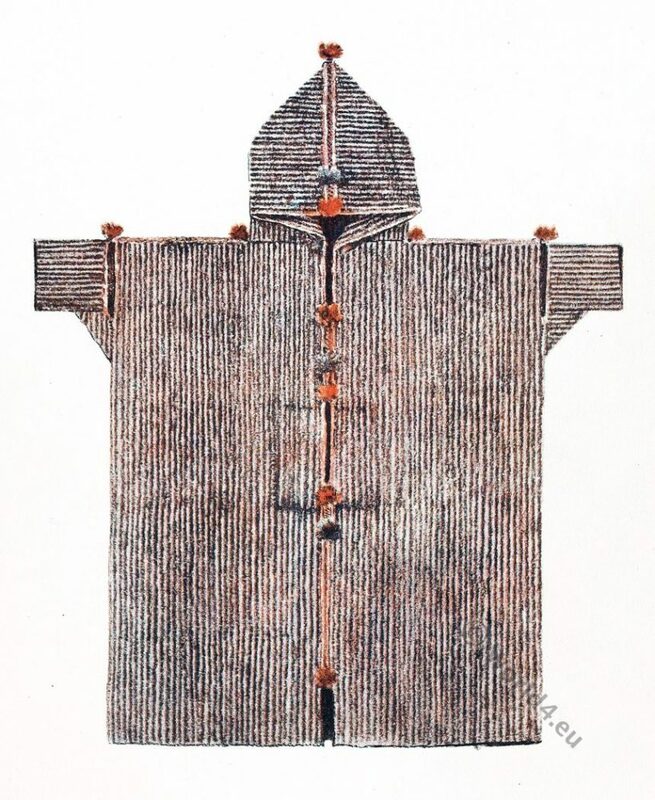 Sketched from life by Sir J. Sutherland. 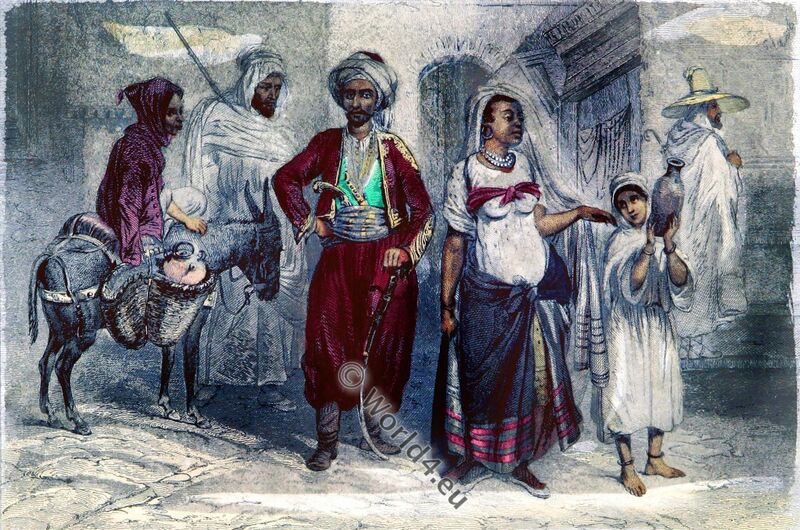 This entry was posted in 1810, 19th Century, Arabia, Middle East, Ottoman Empire, Traditional and tagged Traditional Arabian costumes on 9/25/16 by world4. 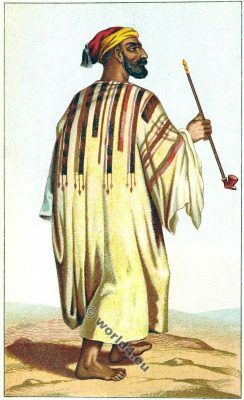 The djellabia or djellaba. Maghreb region of North Africa. 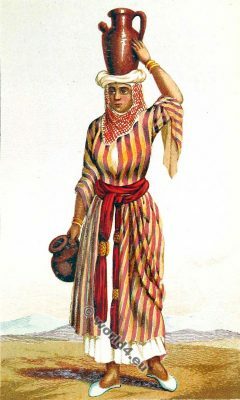 Djellaba arab. جلابة It differs from the Egyptian Galabia by a sewn lace hood. This entry was posted in 20th Century, Africa, Marocco and tagged Max Tilke, Traditional Arabian costumes on 8/21/16 by world4. 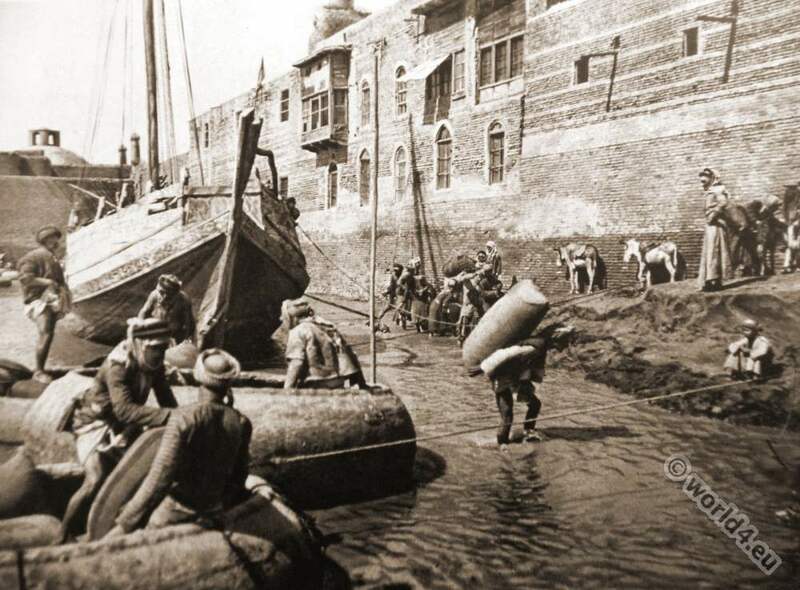 Abyssin et Égyptiens. 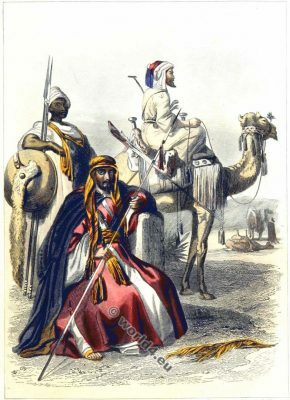 Guerriers et soldats du désert. This entry was posted in 1858, 19th Century, Arabia, Egypt, Middle East, Military and tagged Traditional Arabian costumes, Traditional Egyptian costume on 6/30/16 by world4. 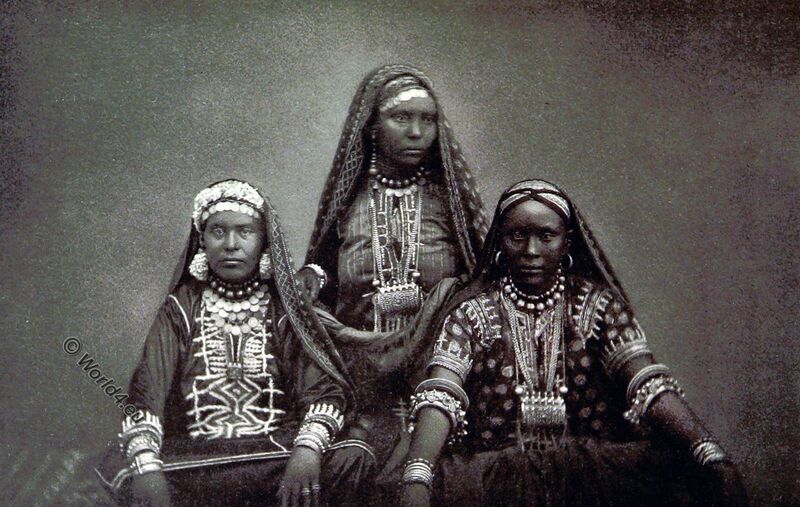 This entry was posted in 1854, 19th Century, Israel, Middle East and tagged Palestine national costume, Traditional Arabian costumes on 6/15/16 by world4.